I’m kicking off a new, recurring series of posts where I interview one author or illustrator, limiting our conversation to 5 questions, with a focus on a specific book. I’ve got a terrific list of talent planned for upcoming visits — they just don’t know it yet. Today we get to hang out with Hudson Talbott. And come back next week for a visit with Hazel Mitchell and her dog Toby. 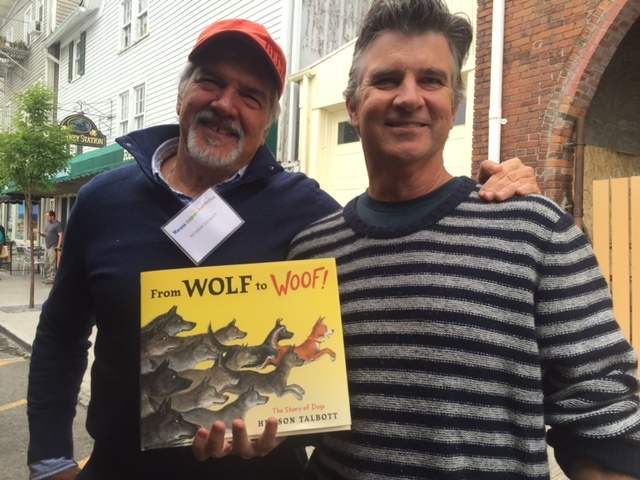 Hudson (left) and I got to catch up at the Warwick Children’s Book Festival. Hudson: Thanks, James. I love research and the process of absorbing as much as I can and then distilling it down to its essence. 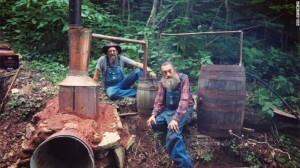 I come from Kentucky. We’re known for distilling. And God bless Kentucky for that! But let the record show: I haven’t asked a question yet. I feel like one of the poor fisherman bargaining with a magic fish. I still have three wishes left –- or in this case, five questions! I don’t think that was a question either. But thanks for calling me a magic fish. Now that you mention it, you do look a little green around the gills. Maybe it’s the light in here. Anyway! I remember long ago reading Desmond Morris’ classic book, The Naked Ape, and in it he speculated about the first dogs. How they might have come to be domesticated. Which is a poor term for it, as I type those words. Because we’re talking about these wild animals that, over time, became intensely, passionately interconnected with human beings. The beginning of a long relationship. I’ve always found that a fascinating subject, so I was immediately drawn to your book. How did that story begin for you? The love of animals, the love of dogs, the love of history. Not facts-and-dates history, but the how-did-we-get-here? kind of history. So it was bound to happen. You and I have this privileged platform to address and explore things that we think matter, or at least, things we’re curious about. That look in a dog’s eyes of knowing, of asking and loving, of aligning him/herself with us had to come from someplace. Plenty of theories about where and when — I like to think that the two species found each other useful and could see the advantage of throwing their lots in together to survive. Like two kids finding each other in kindergarten and growing up together in a rough neighborhood. At some point we both stepped across that magic threshold of trust and realized that we have each other’s backs. I think of myself primarily as a storyteller. Whatever serves the story best is my priority. That said, I am a visually-oriented person so usually if I come up w/ an idea for a book I first look at what points in the story would be good “photo-ops” or actually illustration ops. While I’m doing sketches for the plot points I’m also getting ideas for the text, the plot, the characters, etc. It’s not uncommon that something I’ll stumble onto while writing some text will lead to changing the picture, or even the whole story line. So it goes back and forth a lot between art and text. Art is much more expendable to me because there’s always more where that came from. But when I have to throw out a paragraph that I’m attached to but no longer serves the story — that’s painful! Picture books actually have more in common with making movies than they do with chapter books. Yes, especially when we consider the storyboarding tradition. After all, movies are simply “moving pictures.” Back to your book, I have to say there’s just a beautiful moment that comes right in the middle. It floored me, because it was such a deep and yet profoundly simple moment to capture. Just masterful storytelling. 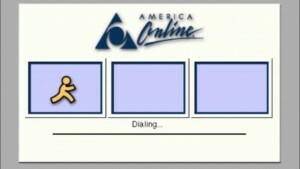 Before that moment, I was intellectually engaged. But on that double spread, the book stole my heart. I was all in. We’ve been watching the boy slowly gain the trust of this wild creature. They draw closer and closer. Until one day . . . everything changes. Tell me about the thought process that went into that illustration, that pivotal turning point in the book? Wow, I should’ve read ahead to this question because I think I already answered it a couple of questions ago. It makes me happy to know that you really got the book, and felt what you felt from it. I started this book with a whole other concept, even another title: The Wolf Who Cried Boy. But when my editor, the brilliant Nancy Paulsen, saw the sketches I had at the end of the book showing where dogs evolved to, she immediately said, “More of that! More of that!” So it got re-balanced to a shortened fictional story leading to an extended nonfiction portion. But that was good because it gave me a chance to get in a plug for saving the wolves today, as well as my own theory that dogs played a strategic part in the development of civilization (with their help we could stay in one place with domesticated herds rather than having to constantly roam in search of wild herds). Wow, Nancy Paulsen: legend! I was wondering, Do you have a wolf at home? I have two cats. One does his best to be a dog for me because he knows that’s what I would have if I didn’t travel so much. I had dogs growing up and usually spend more time with dogs at friends’ houses than I do with the friends. You’ve been at this business for a while, and I guess that’s part of the reason why I connect with you. We’ve both been around the block a few times. 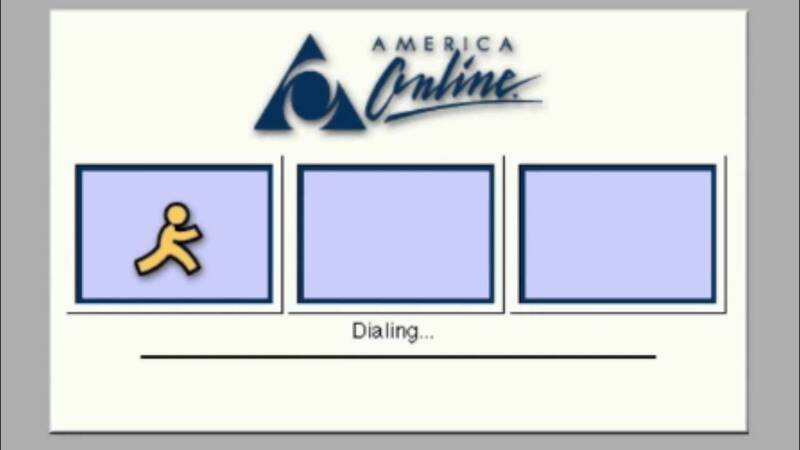 Let’s just confess to the world that we still have our AOL email accounts. Can you point to any primary inspirations in your work? Do you have heroes in the business? And tagging on to that question (I’m cheating here, oh Magic Fish), how do you keep your work fresh? Primary inspirations: my apparently insatiable curiosity keeps me alive. It also drives me crazy sometimes but at least it keeps me from being bored. My first book [We’re Back! A Dinosaur’s Story] was a hit and it would’ve been easy to build a career on it but I wouldn’t have lasted long — I’m too restless, there’s too much other good stuff to fall in love with. A quote from Leonardo da Vinci captures it for me: “For in truth, great love is born from great knowledge of the thing loved.” That’s how I remember it anyway. 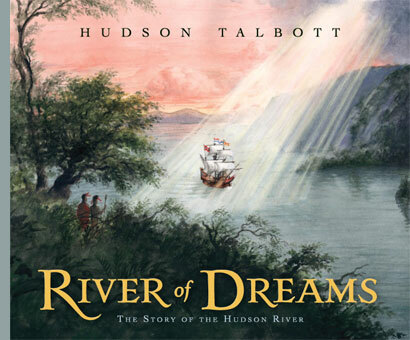 Hudson Talbott is the author/illustrator of many outstanding children’s books, including River of Dreams, O’Sullivan Stew, United Tweets of America, and more. He lives in upstate New York, not far from the town Hudson, not from from the Hudson River. It’s pretty much Hudson, 24/7, when it comes to Mr. Talbott. For more info, please visit his website. Readers might also enjoy clicking on this thoughtful review at Librarian’s Quest. Buddy! Thank you so much for this fun piece. You do this so well. Really felt like I was hanging out w/ you. I’m looking forward to your interviews with other colleagues and buddies out there in kids’ book publishing. Looking forward to our paths crossing again soon. Hudson, “hanging out” is one of my greatest strengths. It’s kind of what I’m best at. Let’s do it again sometime — for the first time — in the real world. 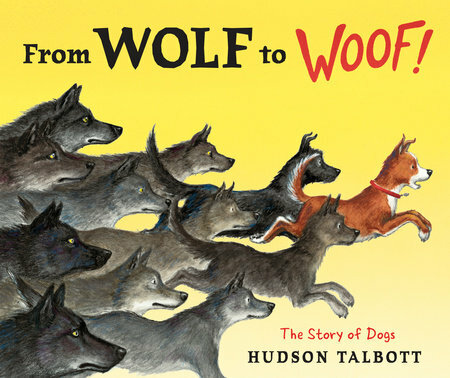 I wrote about from Wolf to Woof on my blog back in April of this year. It is certainly a favorite title of mine. I was more than happy to read this conversation and added a link to my post. I am sending thanks to both of you. I’m happy to return that favor, Margie. Sincerest thanks to you, James. In my experience, almost nobody clicks on links, so I’ve deemphasized them over the years. Nice job on your blog! I understand. Thank you for visiting my blog and linking it here. Hudson’s book is one of my favorites of this year.